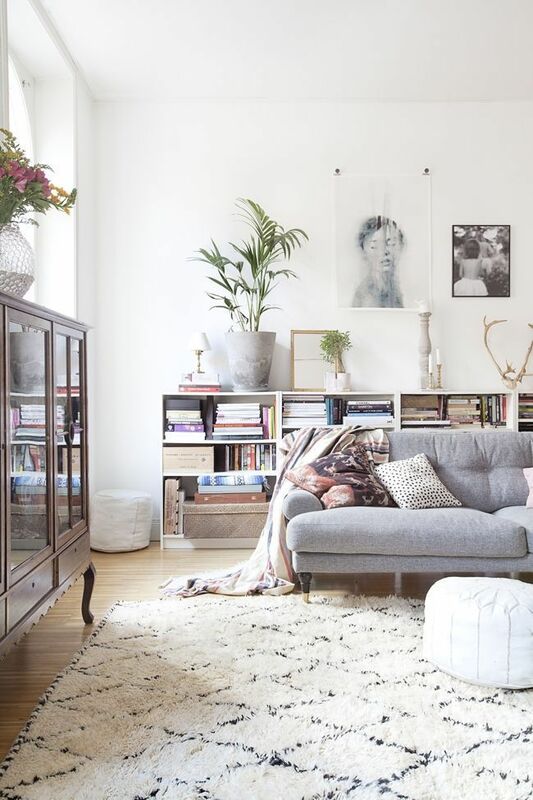 A rug can set the tone, color scheme and comfort factor of your living space! Handwoven by a skilled artisan on a traditional punja kilim loom using tie-dyed wool yarns and a sumac weave, this reversible rug offers pops of color without distracting too much from surrounding furniture. 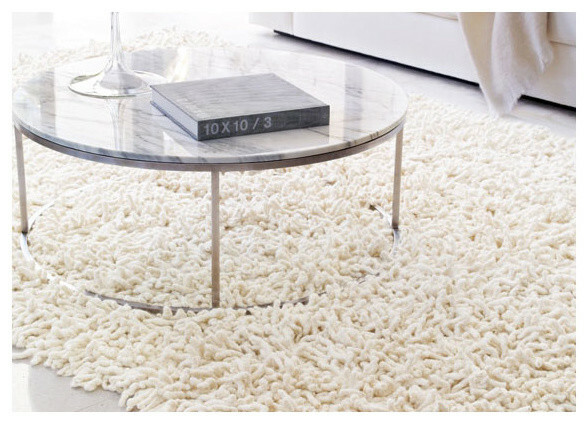 Luxuriously soft, this handmade shag rug feels wonderful underfoot. Macrame Wool Rugs are made with the softest wool from New Zealand with a pretty popcorn stitch that adds fabulous texture. 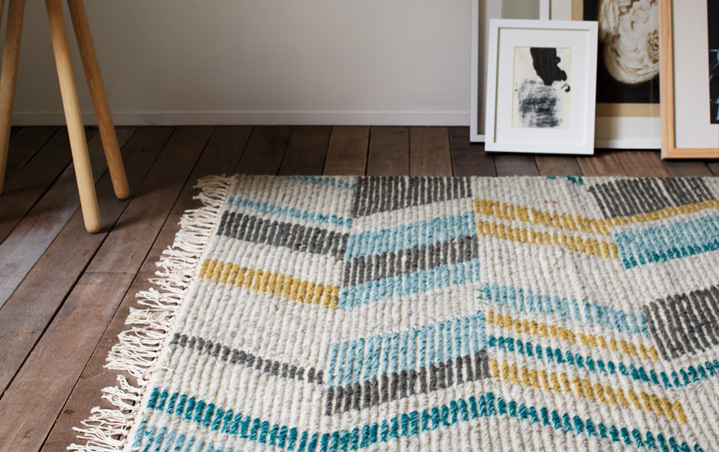 This handmade wool rug features a simplified trellis pattern replicating a Moroccan Berber rug. 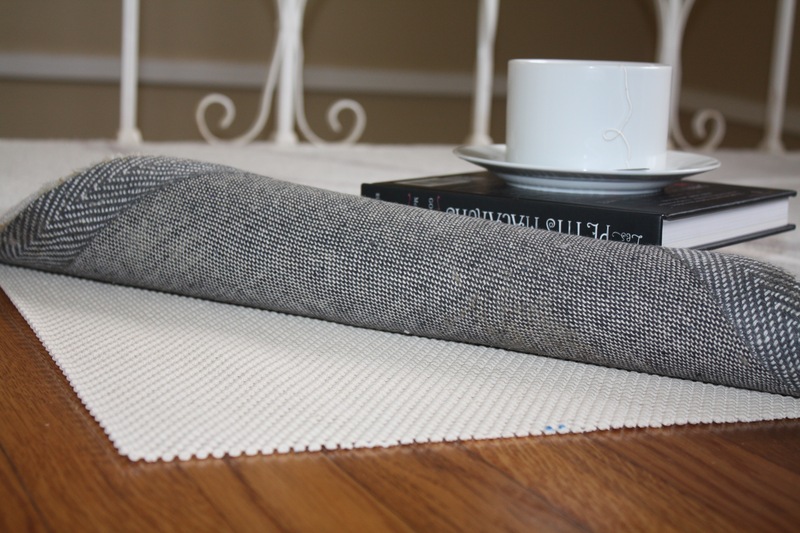 I highly recommend usa rug pad to keep the rug securely in place.